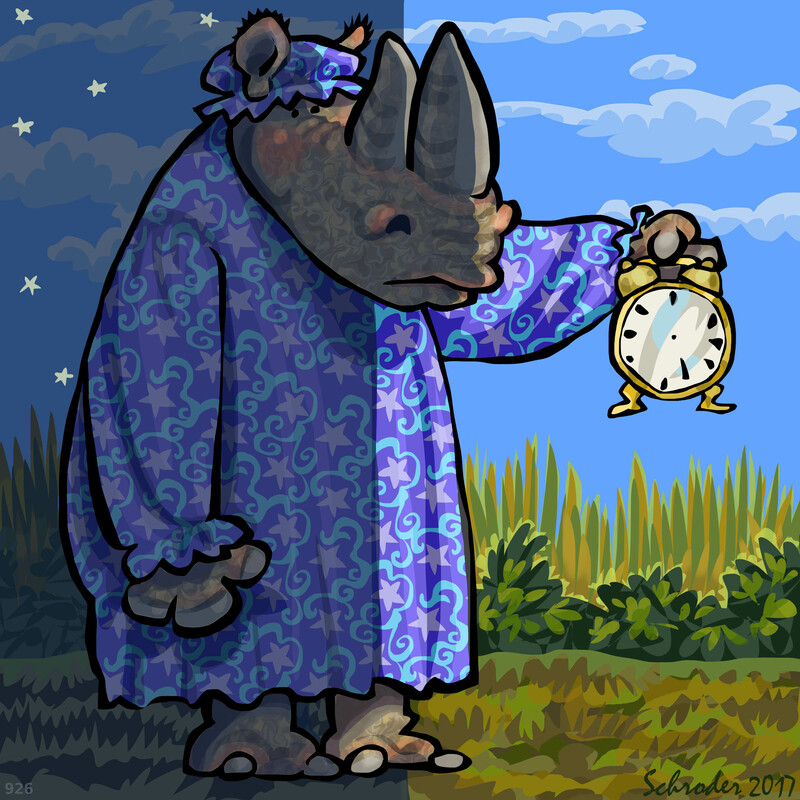 We Rhinos are not particular about Bedtime really. We sleep when it suits Us, and get going when it doesn’t. We often nap in the middle of the day, when it gets toasty. Siesta, si? Si. And our eyesight is good enough for browsing in the dark, so that’s a Big Help.